Organic Marsh Grapefruit – Yum! As I have bemoaned many times, it is difficult to find grapefruits with the traditional balance of bitter and sweet. Whether in supermarkets or farmers’ markets, one finds either red grapefruit so devoid of bitter flavor that they end up seeming ’empty’ in mixed drinks, or the so-called oroblanco grapefruit (which is actually a cross between a true grapefruit and a pomelo) – sweet, but without any more complex flavor than the pomelo. The more traditional grapefruits from previous eras when great drinks were made with them are the Duncan grapefruit and the Marsh grapefruit. The Duncan grapefruit is reputed to be the best in flavor of all grapefruits, but has ceased being produced in large numbers because they contain a lot of seeds. Being less-seedy, the Marsh grapefruit took over early in the last century, but itself is now only produced in large numbers for juice and you will hardly ever find the fresh fruit. 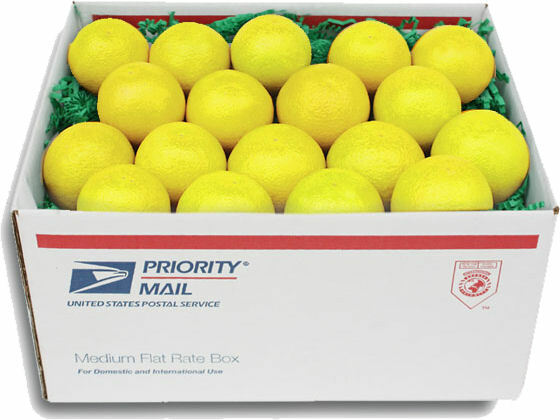 Just today I received a box of organic Marsh grapefruit from the Californiaoranges.com people in Pleasant Valley, California. I had high expectations. They were completely met by these grapefruits. I have eaten one, and expect to make a superior Brown Derby Blossom, and Beach Blossom and Zombie Punch (circa 1937) with them for my class on Sunday. I also plan to try grafting some cutting from one of their trees, and hope to have my own Marsh grapefruit tree! P.S. I am also hoping to get some Duncan grapefruit cuttings.